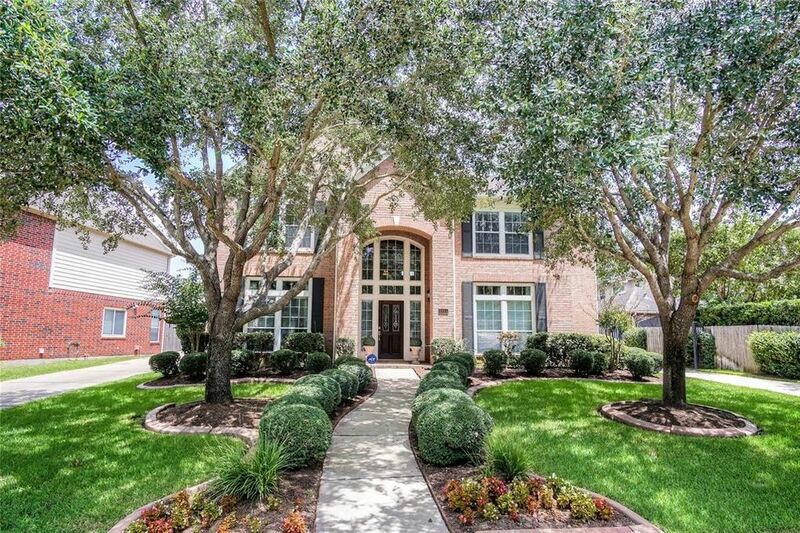 Stunning 4 bed 3.5 bath home! NEVER FLOODED! INSTALLED ROOF 10/10/18! Upon entry you are greeted by an elegant dining room with direct kitchen access perfect for entertaining! Opposite the dining room is an executive study with built-in bookshelves! Passing through the entryway you come to a beautiful family room featuring tile floors, a cozy fireplace, a soaring 2-story ceiling & floor to ceiling windows that shower the room in natural sunlight! Create your favorite recipes in the gorgeous kitchen equipped with tile floors, stone backsplash, granite counters, stainless appliances & an island cooktop! In the evenings, withdraw to the spacious master suite with its own sitting area & a luxurious bathroom showcasing a walk-in closet, double sinks, a whirlpool soaking tub & a tiled walk-in shower! The 2nd floor is home to a game room & all 3 secondary bedrooms! The home also has its own private backyard retreat complete with a covered patio, outdoor kitchen, pool & spa! Don't miss out!